Discussion ONLY Bettinardi DASS Transfusion Repair Tool Left! ONLY Bettinardi DASS Transfusion Repair Tool Left! SM7 Raw or Jet Black wedges in 52,56 or 60. Will do a packaged deal for both betti items and will sell the wedges together for a good price. Please someone take these off my hands! Getting rid of some more stuff that I won't use that I bought out of impulse! The bettinardi marker and divot repair tool are both brand new and never used. The coin/marker comes with a betinardi bag. The divot repair doesn't come with anything extra. 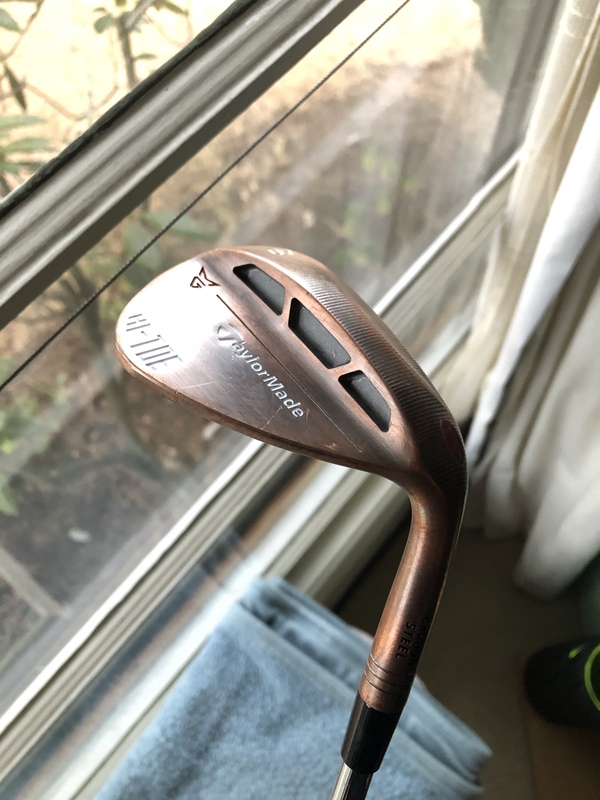 Selling my taylormade wedges, I just can't get away from my vokeys. These are both in great shape, I've only used the Milled Grind around the practice green and it's in great shape and is already starting to take on a little rust. The grooves on both are hardly ever used, just a some wear from a couple of sessions. My loss is your gain. Price do not include shipping, please let me know where you live and we can negotiate from there. SOLD, Please...take this off my hands and no low-ball offers, this is already a really good deal. Getting rid of some more stuff that I won't use that I bought out of impulse! The bettinardi marker and divot repair tool are both brand new and never used. The coin/marker comes with a betinardi bag. The divot repair doesn't come with anythign extra. open to reasonable offers. Everything is priced to sell. Someone please take this stuff off my hands! I tried sending you a PM but it said your inbox was full. I was wondering if the hi-toe was still available? Hey there, sorry it should be fixed now. Yes, everything on here is still available. Raw milled grind is sold! Hi-Toe Sold, only Transfusion Repair Tool remains. Someone take this off my hands!